Categories: Christmas, New Releases, Pre-printed. 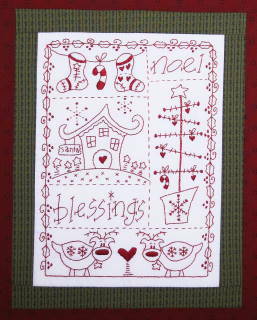 Redwork stitchery measuring 8″ x 11″ which comes pre-printed on quilters muslin. You could use it as a wall hanging or maybe turn it in to a cushion!